Planning a funeral in advance of death is called pre need funeral planning. Pre need funeral plans outline wishes for funeral services and interment. To avoid inflationary funeral costs, prepaid funeral plans are available. Our purpose is to help families plan fitting tributes to loved ones in a peaceful environment, and do so with a great deal of kindness, compassion and attention to detail. "Meeting your needs for important life events"
There are over 100 decisions to be made at the time of a loved one's death. Unfortunately, those assorted questions most often need to be answered immediately by a distraught and grieving relative of the deceased. "If I only knew what mom would have wanted" is sadly the most common phrase we hear. 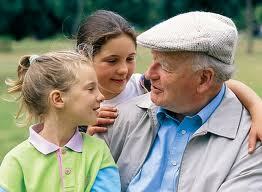 Planning in advance relieves loved ones of the burden associated with making these decisions. It also allows you to rest, knowing that your wishes will be abided. You can also pre-pay, in addition to pre-planning the funeral. This again takes the financial and emotional burden off of the grieving family members.